Experimenting with the yarn stash, then learning I may be closer to meditation than I realized. Lately, yarn goes wherever I go. Mister Foo loves meditation, too, and is about to join me. 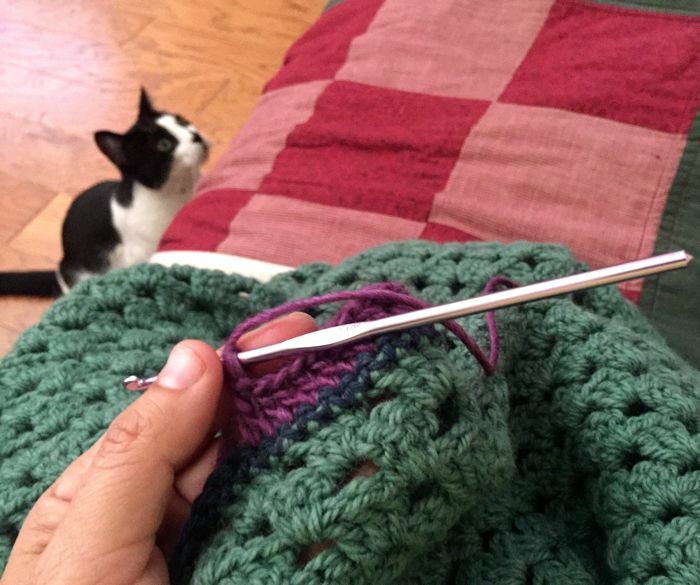 The repetitive nature of knitting and crocheting does have a calming effect. Looking good!